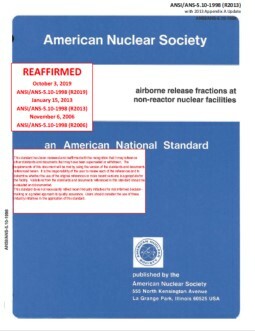 This standard provides criteria for defining Airborne Release Fractions (ARFs) for radioactive materials under accident conditions (excluding nuclear criticalities) at non-reactor nuclear facilities. 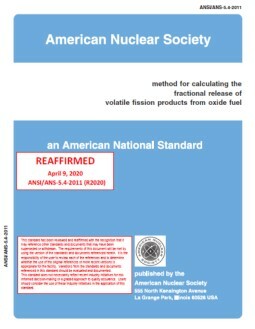 The criteria in this standard provide requirements for selecting ARFs based on the calculated or assumed forms of radioactive material released. 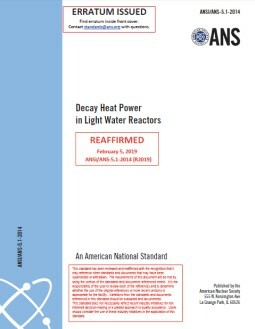 This standard may be applied to determine the ARFs for certain applicable reactor plant events for which alternative methodologies are not mandated by regulatory requirements. 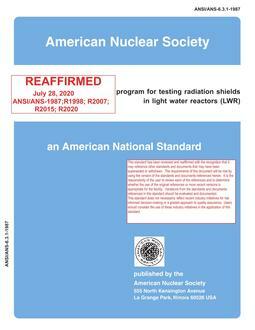 Because the predominant physical forms of radioactive materials in non-reactor facilities are solids and liquids, the standard focuses on these forms. Criteria are also provided for gases and materials that can be converted into the form of a vapor.